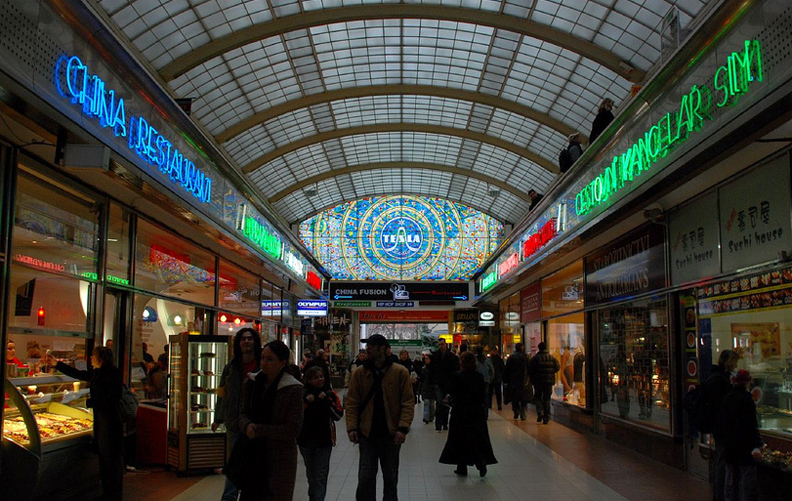 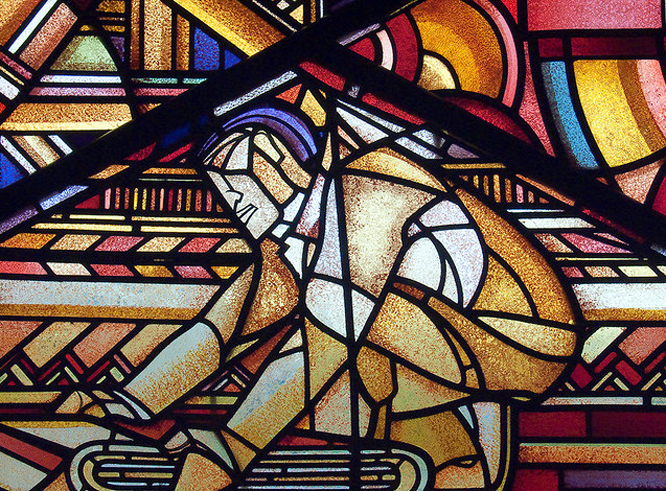 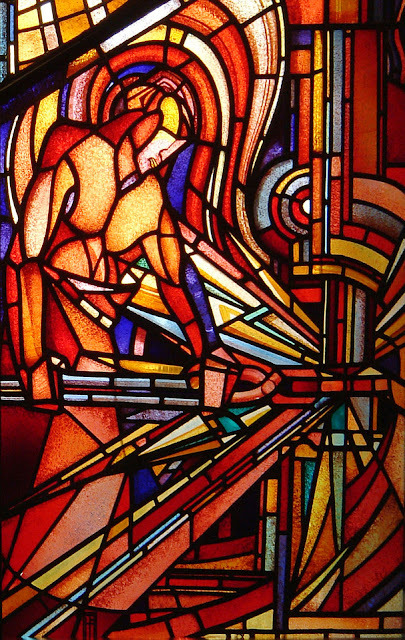 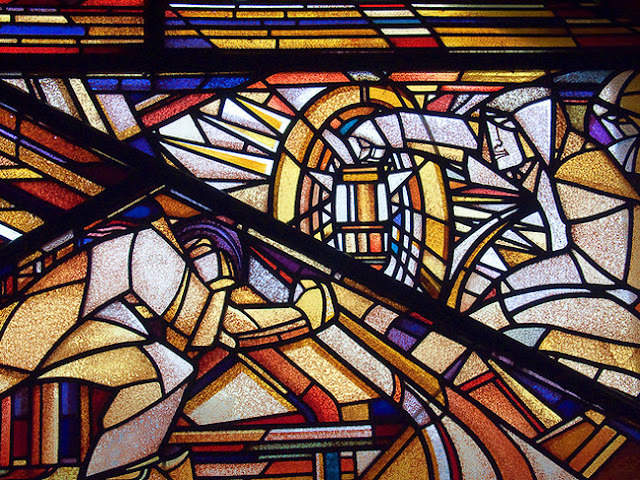 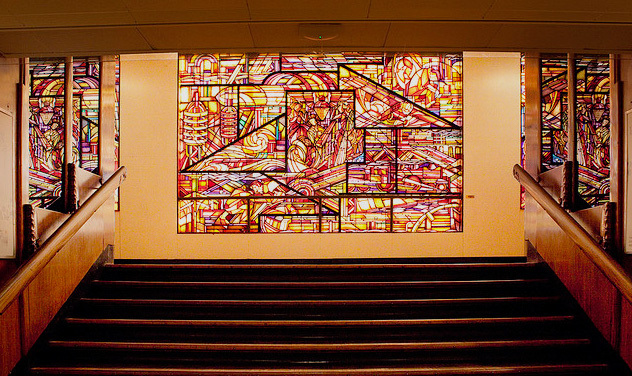 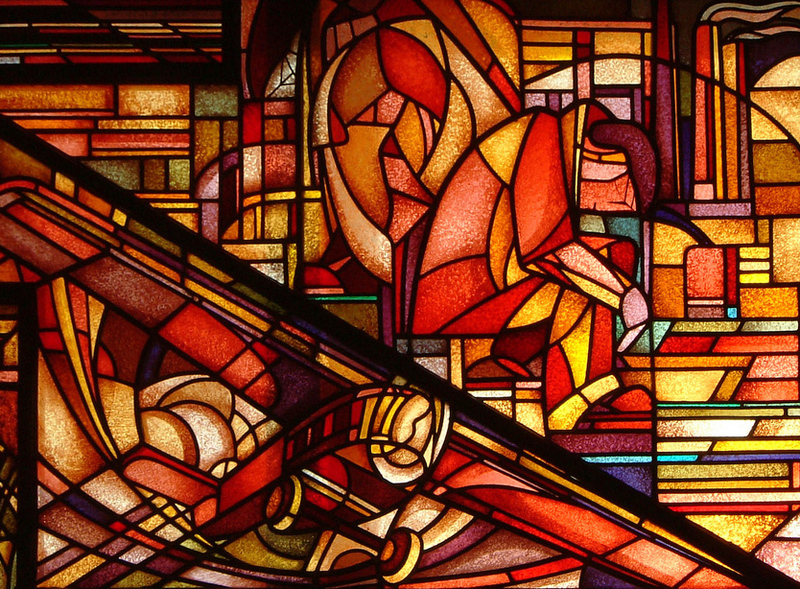 Religious imagery is usually the first thing that comes to mind when most people think of stained glass, yet there are many fine examples of glass used to create modernist images. 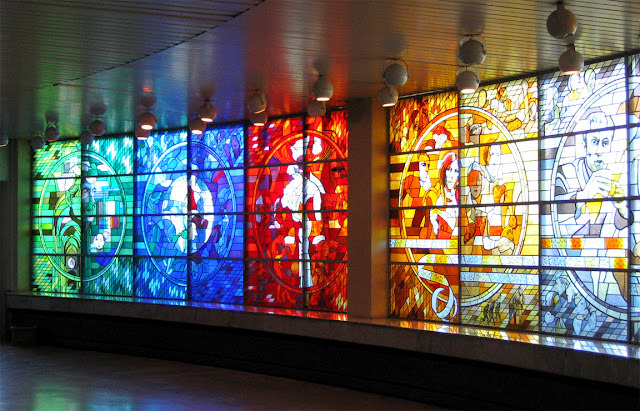 It is a shame that this art form is not used more often (in the non-religious context that is), as nothing radiates color so brilliantly as glass. 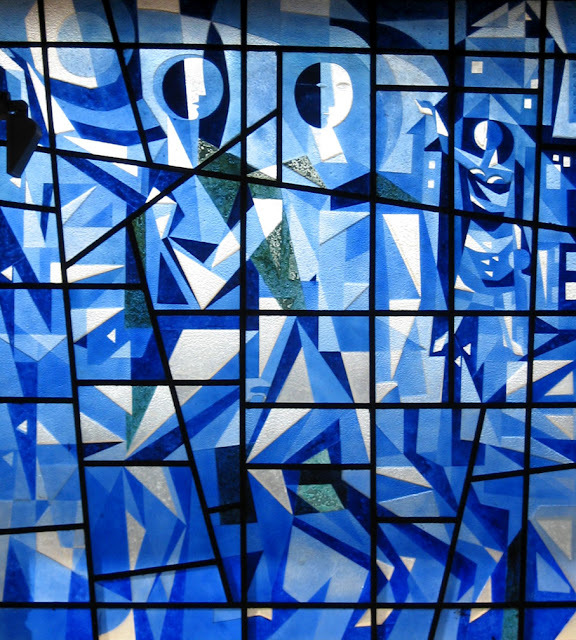 Window created by Willem Heesen (1925-2007) in 1964. Almelo railway station, the Netherlands. 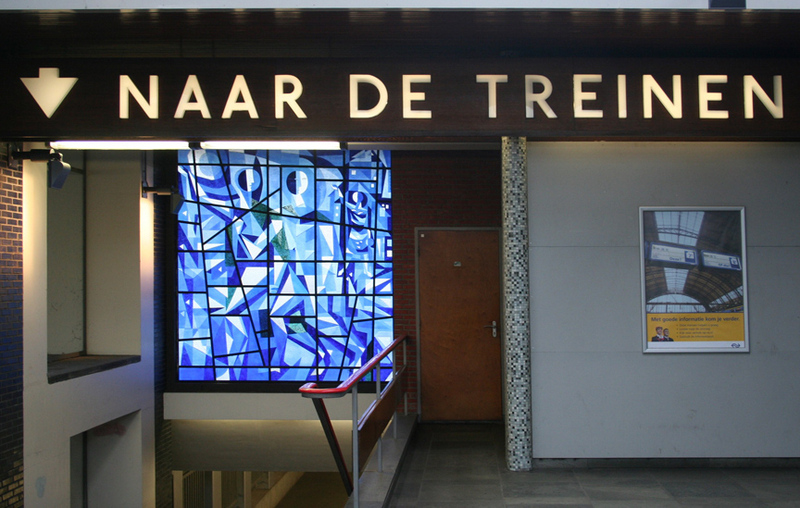 Wide angle perspective of Willem Heesen's window. 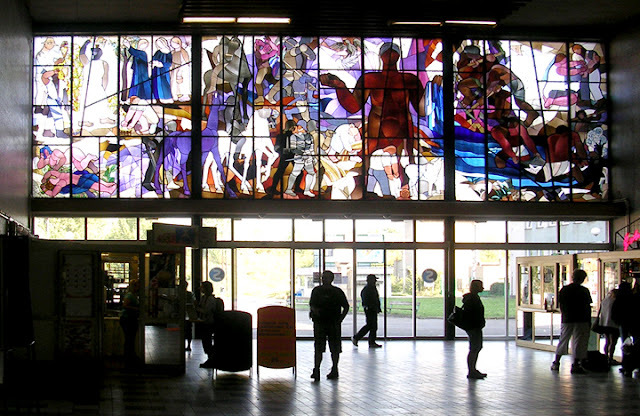 Wide angle perspective of Beroun railway station. Dolores Hoffmann (b. 1937) created these windows for the lobby of the Tallinn TV Tower in Estonia. The tower was built for the 1980 Summer Olympics in Moscow. Bullet holes from a 1991 attempted coup of the tower by Soviet troops are still visible at the base, luckily the windows were saved.